New principals have been named at several JCPS schools during the 2018-19 year. A native of Louisville who was raised in Miami, Waggoner's first day as principal at Jacob Elementary was Aug. 14. "I am thrilled to be given the opportunity to become part of the Jacob community. There is a very strong parent and community base here, and I am excited to continue the growth and progress of the school," she said. "Karen is a transformational leader who fosters collaboration by building trust, increasing self-determination and competence, showing appreciation to individual excellence and celebrating values and victories by creating a spirit of community," said Brad Weston, an assistant superintendent of elementary schools for the district. "We are all very excited for this next chapter at Jacob Elementary." Read more about Waggoner here. Brooks has spent her entire 13-year career with JCPS. Her first day at Johnson was Aug. 27. "It's an honor and privilege to get this position," said Brooks, who says she is a strong advocate of the traditional school program. "I believe in the traditional core values, teaching kids morals, and showing them how to have a strong work ethic so they can be college- and career-ready. I also want each student to be able to connect to Johnson in some way, whether it's through academics, sports or other activities. I want to increase the number of opportunities for them." "Dr. Brooks is a passionate educator who builds great relationships with students and staff," said Michelle Dillard, the district's assistant superintendent of middle schools. "She is also a strong instructional leader and wants to help all scholars be successful. We are excited to have her on our miracle middle school team." Read more about Brooks here. Farmer began his career with JCPS as a history teacher at Fern Creek High School in 1993. He served as an assistant principal at Bardstown High School and Bardstown Middle School for four years before returning to Jefferson County to become an assistant principal at Manual from 2009 to 2016. His first day as principal at Manual was Sept. 10. "I am honored to be selected as the next principal at Manual," Farmer said. "For more than 20 years, I have gained valuable experience and a wealth of knowledge. From my first day in education, my ongoing goal has been to create, promote, facilitate and maintain positive and effective learning environments that include collaboration among students, parents, teachers and support staff." "Mr. Farmer has had an outstanding career as a teacher, assistant principal and principal and is known as collaborative leader and consensus builder," said Glenn Baete, the district's assistant superintendent of high schools. "We look forward to the next great chapter in duPont Manual’s history under Mr. Farmer’s leadership." Read more about Farmer here. Carmichael-Murphy began her career with JCPS as a social studies teacher at Pleasure Ridge Park High School. She previously worked as a teacher at Doss High School and the Louisville Metro Department of Youth Corrections, as a goal clarity coach at the Academy @ Shawnee, an education recovery specialist with the Kentucky Department of Education (KDE) and as an assistant principal at Fern Creek High School. Her first day as principal at Coleridge-Taylor was Sept. 10. "I am honored to be selected as the new principal at Coleridge-Taylor," Carmichael-Murphy said. "I have spent my career working with students. I understand what their needs are when they get to middle and high school, but I have always wanted to help reach students earlier because I truly feel that reaching them at a younger age increases their ability to successfully transition into the real world and be ready for postsecondary work." "Dr. Carmichael-Murphy is a committed and resourceful educator with many experiences leading her to this leadership role," said Joe Leffert, an assistant superintendent of elementary schools for the district. "The entire Coleridge-Taylor Montessori community can be excited about the next chapter in the school’s history under Dr. Carmichael-Murphy’s leadership." Read more about Carmichael-Murphy here. Nicolas has spent her entire 20-year career with JCPS. She taught English at Ballard and Doss High Schools, before becoming an assistant principal at Doss from 2005–08 and Fern Creek High from 2010–18. She had served as interim principal at Fern Creek since Aug. 6 but was named the permanent leader on Sept. 10. Compton has spent her entire 20-year career with JCPS. 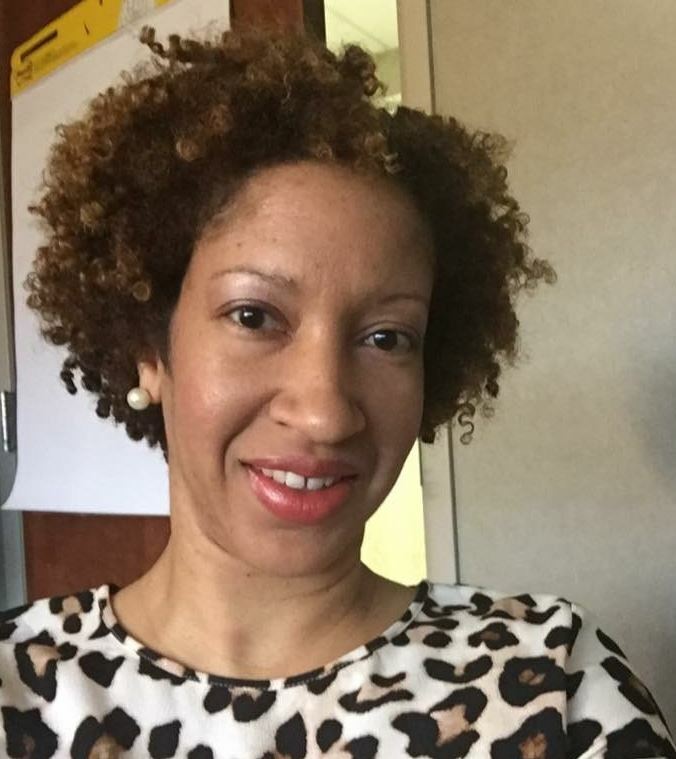 She is currently an assistant principal at Central High School Magnet Career Academy (MCA) and has served as an assistant principal at Noe Middle School as well as a counselor at Central and Marion C. Moore School and a teacher at Moore and Doss High School. She was also the district's director of minority teacher recruitment for nearly two years. "Dr. Compton began her career as a teacher. She is a committed and resourceful educator with many experiences leading her to this leadership role," said Joe Leffert, an assistant superintendent of elementary schools for the district. "The entire Hawthorne community can be excited about the next chapter in the school's history under Dr. Compton's leadership." Compton started her new role on Monday, Sept. 24. She replaced Jessica Rosenthal, who was promoted to executive administrator of the district's middle schools over the summer. Retired district administrators Darrell Jarrett and Ruth Jarrell have been serving as principals at Hawthorne in the interim. "I am humbled and honored to be named the new principal at Hawthorne Elementary School," Compton said. "I am excited and ready to get started." Read more about Compton here. Little spent the past two years serving as the associate principal of Martin Luther King Academy of Excellence, an alternative program for middle and high school students in Fayette County. Prior to that, he has worked as a teacher, student engagement coach, guidance counselor, pathways coach, and as the assistant vice president of Student Affairs and director of Residence Life at Kentucky State University. "Dr. Little has extensive experience in the alternative school setting, and we look forward to welcoming him to our team," said Glenn Baete, the assistant superintendent of high schools for JCPS. His first day at Minor Daniels was Monday, Oct. 8. He replaced Don Dillard, who took another position over the summer to become a supervisor of the district's West Louisville satellite office. "I am excited about this opportunity because it will allow me to use every ounce of my gifts to communicate with students, teachers, parents and stakeholders," Little said. "At Minor Daniels, I truly believe we are in a position to help guide our young people to be productive citizens for the rest of their lives." Read more about Little here. Jones began her career with JCPS in 2000 as a teacher at Atkinson Elementary School. She then moved over to Engelhard Elementary as a teacher and was later a counselor for six years, before transferring to Western Middle School in 2011. She served as a counselor at Western Middle for three years before becoming an assistant principal there in 2014. "Mrs. Jones has experience and expertise with curriculum, instruction, assessment and behavior," said Brad Weston, an assistant superintendent of elementary schools for the district. "She is respected as a data-informed collaborative leader who possesses strong communication and listening skills. She prides herself on her ability to build strong relationships with parents, teachers and students to foster a high-trust, cooperative, and collaborative environment of high expectations and learning." Jones will start her new role on Monday, Oct. 22. As principal, Jones says her goal is to provide quality leadership that will help all members of the learning community achieve lifelong academic and personal success. She says she will work diligently with all stakeholders to help remove any roadblocks that hinder student growth and to improve learning gaps. "I have learned that with diligence, determination and a positive attitude, many great programs can be established and maintained for our children," she said. Read more about Jones here. 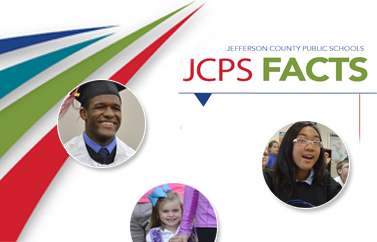 Follow JCPS online on Facebook, Twitter, Instagram, and YouTube.